So yeah, congratulations to Nuncio, and let’s give praise where praise is due. Anyone who steps on the mat and wins a competition should be highly praised, especially Apolonia, who is somewhat of a child prodigy. The 9-year-old has competed on some pretty huge stages already, including the Onnit Invitational and other professional submission-only events. It’s regularly documented that pre-pubescent children, male and female, have similar capabilities and it’s not under boy’s hit puberty the strength gap starts the widen. However, the real problem with this match is the god awful refereeing which happened. The first issue is that according to the IBJJF Rule book is that a triangle submission with the head being pulled is illegal. I know not all competitions go by IBJJF rulesets, however, the coaches and referees should have known the rules and discouraged her from doing so. 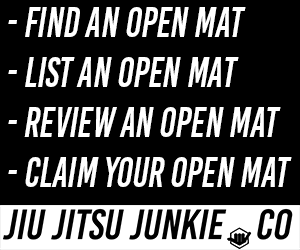 My personal opinion is that while the IBJJF do a lot of things wrong in regards to their ruleset, they also do quite a lot of good things. And one of those things is protecting children when they compete. Which brings me onto my second point. That submission was on for far too long, at the 55-second mark that fight should have been stopped and Apolonia declared the winner, unfortunately, the match goes on and the poor boy gets his arm hurt, potentially broken. Parents do sometimes complain about the rule that a kids match is stopped whenever the arm is extended, but this match illustrates exactly why that is the case: children simply cannot be relied upon to know when to tap. The mixture of nerves and adrenaline can be overwhelming for a child and we hope he’s not hurt too badly.